International Flavors of Marina is only a month away and we hope you’re getting excited! It will be another wonderful evening full of entertainment, great food, and interesting conversations. Today we are announcing our ticket sales. Marina Flavors is a fantastic way to discover local talent with our inspiring community of chefs, brewers and wine makers. International Flavors of Marina will be held Thursday, April 4, from 5:30 – 8:30 p.m. at the SpringHill Suites by Marriott (215 10th St, Marina). 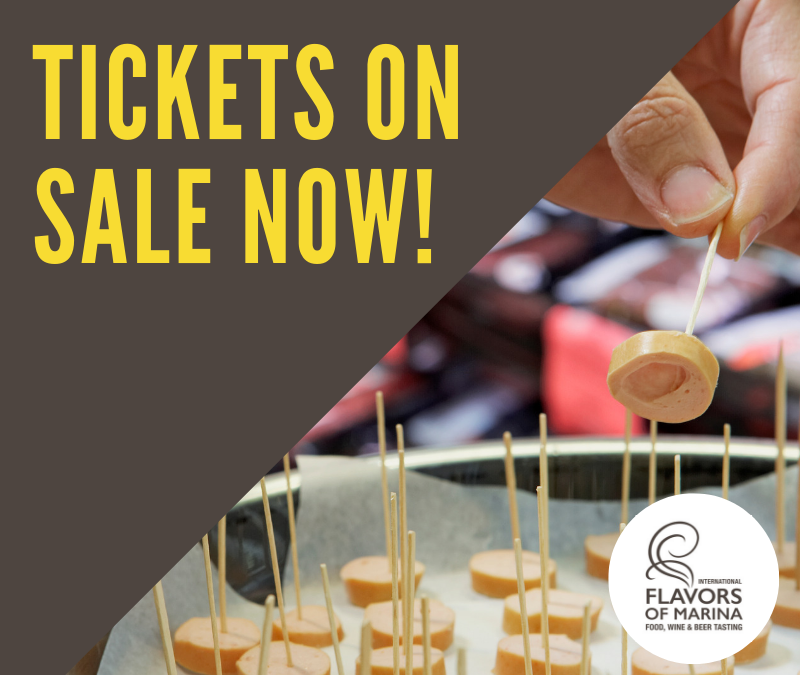 Tickets for International Flavors of Marina are now available for purchase online! Our ticket price includes all tastings the night of the evening. No need to buy coupons or ration them, go ahead and sample all the foods and drinks that appeal to you! Note that tickets are limited and expected to go fast! For current chamber members, tickets are $35 per person until March 15, 2019. Tickets purchased after that date will be $40 per person while supplies last. For non-members, tickets start at $40 per person before March 15th, 2019. Tickets purchased after that date will be $45 per person. Space is limited, so purchase your tickets early! Please pass the word to your friends, family, and customers! We look forward to your participation and support in making this event a huge success.